Construction Loan Rates, Learn What The Banks Don't Tell You! Construction loan rates, learn the secrets of how to get the current best mortgage rates! Good construction loan rates can be hard items to find. 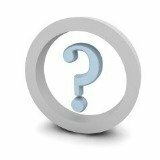 What is the largest hurdle to jump through when starting any home building project? You want to qualify for the best daily mortgage rates and construction loans on the market. Acquiring the best mortgage interest rates can be a huge pain without proper planning. Trust me, you want to have all your documentation together before applying for money from the bank. Absolutely nothing will get an underwriters (banker) attention more than being prepared before applying for a loan. This list is meant to be a sample, as some lenders require more documents upfront than shown above (each lender creates their own standards for what they require). Ok, you have rubbed your eyes and are now refocused .......right? Stay with me dear reader! Now let's discuss paying points on construction loans. Points are upfront fee the lender will charge you when your loan package is accepted. One point is equal to one percent of the total loan amount. Points can be broken down into any fraction. It's not uncommon to see someone's loan package charged 4.625 points (4 and 5/8ths). Know that points on a loan package are always negotiable. This is especially true if you use an independent mortgage broker! Use this house payment calculator to figure out how much your mortgage payment will be upon completion of your project! Should you choose to work with a mortgage broker or go directly to the bank for financing options? Independent mortgage brokers only get paid if your loan closes! This incentive naturally makes them more in touch with your needs because they want to get paid. You pay only if the loan closes. You pay for production, what a great concept! What's your next step after choosing your broker? What type of mortgages are available and what are the construction loan rates? The majority of loan programs are a variation of the two major construction loan types. The single close construction/Permanent type loan and the double close two loan process. Which high level concept is better, the single or double close process? This loan is the the most user friendly type of construction loan and is best for the first time owner builder. The major advantage to this type of loan is to only have to quality for financing once. 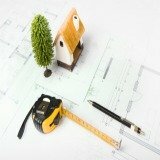 Your construction loan rates and permanent loan rate can all be decided at the beginning of the loan process. You will not fall victim to market cycles if the economy sinks or rises! 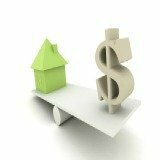 Should I compare fixed mortgage rates ? What are the upcoming mortgage rates predictions ? 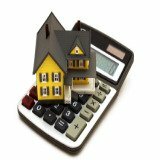 How are mortgage rates determined ? This all-in-one efficiency allows you to turn your focus to the terms of your permanent financing before you start your home plans project. You will want to get permanent financing with a "FIXED" mortgage rate. 30 year fixed mortgage rates . This loan used to be the only type of construction loan you could get before the single close loan became available. The lender will provide you (the builder) with a short term loan strictly for the construction. After the construction is completed, you will have to refinance your construction loan into a new long term fixed mortgage. The double close process requires you to find and qualify for a loan a second time at the end of your construction project. This being stated, you may be able to get better interest rates because the economy may be in a different swing than when you started your project. All considerations kept in mind, the double close loan is still a gamble because you don't know what your personal circumstances will be when you finish your building project. 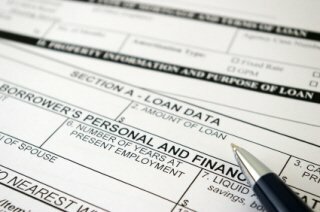 What happens if you get laid off, before you apply for the second long term loan? How will you get financing with no proof of income? These are just things to consider before using a double close loan. Always remember to apply for the highest amount possible when qualifying for construction loan rates with lenders. I say this because most projects have over runs or unexpected cost at some point during the construction project. Also, if you get approved for a higher amount, you may not have to put as much of your own money into the Project! Now.....Go out there and get the best construction loan and construction loan rates you can possibly afford!